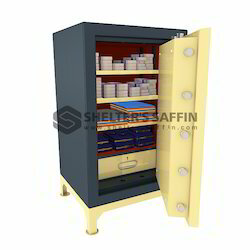 We are a leading OEM Manufacturer of temple safety safe locker, double door safety locker, fire safety safe locker, wall mounted office safety safe locker, bank safe locker and security biometric safe locker from Coimbatore, India. We are dedicatedly engaged in manufacturing, supplying, trading, wholesaling and distributing high-quality Temple Safety Safe Locker. All these products are manufactured under the supervision of our experienced professionals. These experts make sure to use the high-quality material in the manufacturing process. 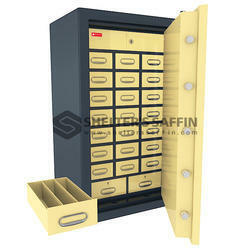 We are among the reputed manufacturers, suppliers, distributors, wholesalers and traders of Double Door Safety Locker. Designed in compliance with international quality standards and norms, all our products are manufactured using quality grade raw material and latest technology. 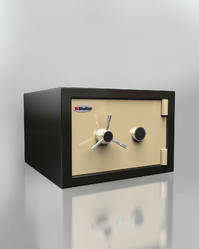 We are offering Bank Safe Locker to our clients. 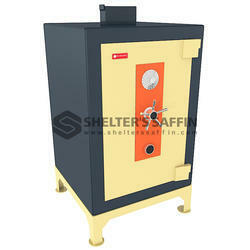 We are widely recognized as a not able firm of an exclusive range of Bank Safe Locker. 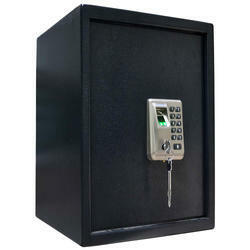 We are offering Security Biometric Safe Locker to our clients.